How long does it take to get rid of the scars resulting from follicular unit extraction? While Follicular Unit Extraction (FUE) simply leaves small white dots where the follicular units have been harvested, some people are still concerned about the appearance of these small, hypo-pigmented areas. So, how bad can it be? Will these scars ever heal? If so, how long will it take? These are the issues that we will attempt to address in today’s post. First, you need to know that there will always be some degree of scarring, regardless of the technique used in harvesting the follicular units from the donor site. However, while FUT leaves a noticeable linear scar behind, FUE patients may notice tiny white dots where the transplanted hairs were harvested. However, since Dr. Mark DiStefano of the Distefano Hair Restoration Center uses specially designed micro-instruments to remove the hair follicles, you can be sure that there will be minimal scarring and higher hair transplant success rate. The tiny scars resulting from follicular unit extraction may be hardly noticeable, especially if you keep your hair on the longer side. However, if you really want to make sure no scars are left behind, you can ask your doctor about some post-operative treatments and/or medications that may help you. 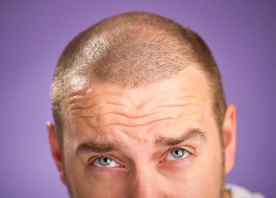 FUE is ideal for patients who are prone to scarring and have very tight or very loose scalps. It is also the most advisable technique for younger patients (younger patients have more elastin in their skin and are hence, more susceptible to scarring) and for those who are extremely athletic (it imposes very little limitation on exercise). So, are you still overly concerned about the scars that go along with FUE? With the DiStefano Hair Restoration Center, you really shouldn’t be. Consult a qualified professional hair restoration specialist to know which method will best serve your needs. For best results, call us at 1(888)609-4247 or use this online form to schedule a free consultation.